Data shows that blogging and blogs are on a downward trend and podcasts are gaining popularity. Content consumers are increasingly turning to podcasts for content. 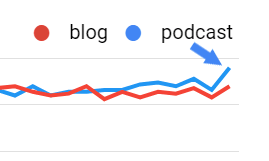 Google Trends shows that searches for podcasts have surpassed searches for blogs. The implication is that it may be time to consider how podcasting fits into consumer outreach and whether blogging is still useful. Google Trends is Google’s keyword tool. It reveals the volume of keyword searches and let’s you compare. A comparison of the word “podcast” with “blog” and “blogs” shows that podcast is in an upward trend. Google also shows less people are searching with the word “blog” or “blogs” and that this is a downward trend. 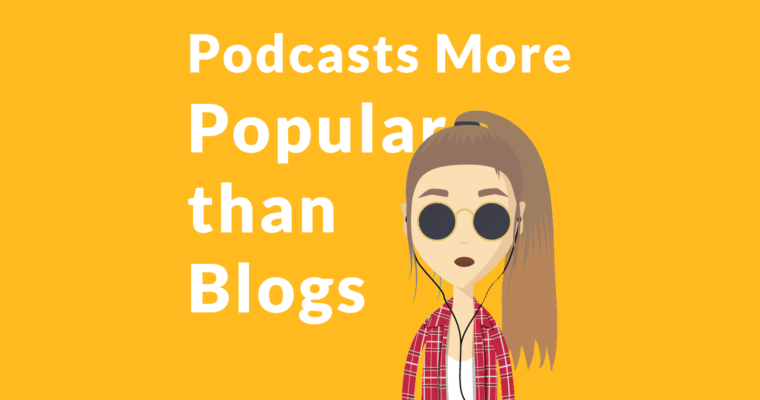 This means that less and less people are looking for blogs and that more and more people are searching for podcasting content. Less people are searching for “blog” and “blogs.” Searches for “podcast” is trending upwards. One way to reveal the upward or downward trend of a keyword phrase is to compare it with something else. The following illustration shows that searches for “podcast” are steadily growing. The searches for “podcast” show no sign of reaching their maximum. Podcasting is outpacing blogs and still has room for growth. Audio is positioned to assume a greater role in how content is consumed because of the growing use of digital assistants and home AI devices. As these devices become more commonplace in the home and in automobiles. With a few exceptions (for example, monetization), less and less people are searching with keywords that are associated with blogs. This trend holds true on both the content creator and content consumer side. 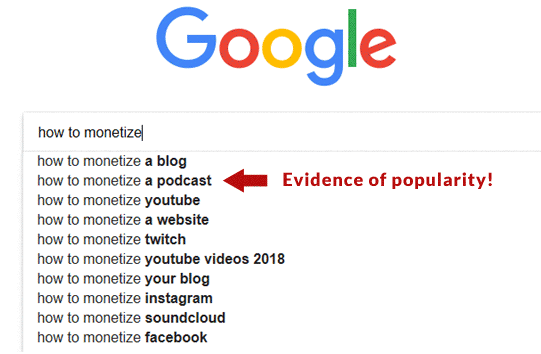 Keyword searches related to podcasts from both the podcast creator side and the podcast consumer side are rising. The trend is strong and unmistakable. Google Suggest generally shows suggestions based on how popular the suggestions are. That way, Google can show the most popular suggestions to a user first. If you type the phrase “how to monetize” Google reveals that “how to monetize a blog” is likely the most popular query. But the phrase, “how to monetize a podcast” ranks second. This is evidence of search queries from the “content creators” side of content production, as opposed to searches by content consumers. On the content consumer side, podcasts rank number one. On the content creator side podcasts rank number two. This may mean that more content creators are focusing on creating blog content than are creating podcast content. If true, then this could be a sign that content creation is lagging behind the demand for content consumption. 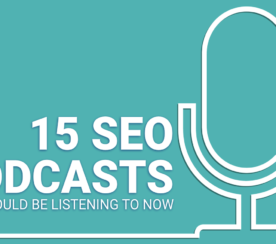 Google dipped it’s toes into the podcast ecosystem. It recently released a dedicated podcast app that is integrated with Google AI. The Google Podcasts app makes discovering new podcasts easier. “Google Podcasts uses AI to offer recommendations based on your listening habits—such as your interest in sports or true crime, or podcasts from a particular network. Google is also participating on the creators side. It has published guidelines for podcasters that will help their podcasts become more discoverable through search. Google’s guidelines for podcasting are designed to help it show podcasts to consumers using the Google Assistant. The Google Assistant page lists finding podcasts as one of the tasks it can do for you. Google Assistant is integrated with Google’s Podcast app. Google Assistant helps find podcasts. All formats of digital advertising have been growing. Traditional offline media is either declining or trending flat. The hottest growth is seen in video digital advertising, but audio is a fast growing category. Audio ad revenue grew at the second fastest rate, 36%. In my nearly 20 years experience in Internet Marketing, this looks like a classic first mover opportunity. We are past the early years and now is the moment when first movers can define new ways of capturing the loyalty of consumers, as well as establishing the conventions of this maturing niche. 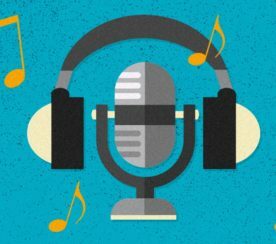 While podcasting is actually an old industry, the introduction of AI and intelligent devices is transforming the podcasting ecosystem. This is why in my opinion this is a new and developing digital industry. The current industry standard for engaging with consumers is to create a blog. Given the evidence that content consumers are increasingly turning to podcasts for their content, it makes sense to consider adding podcasts to the marketing agenda. Among the insights I gained in my almost twenty years of digital marketing experience, is that it is lucrative to have an online presence wherever the consumer is. In the old days that meant having a presence in relevant directories. That transitioned to hosting a blog and establishing ubiquity on blogs. Now we seem to be in a transition to podcasts. It may be prudent to consider adding podcasts to existing channels for reaching consumers and audiences. In the past it has always been a good idea to identify how users are consuming content and then reach them there.